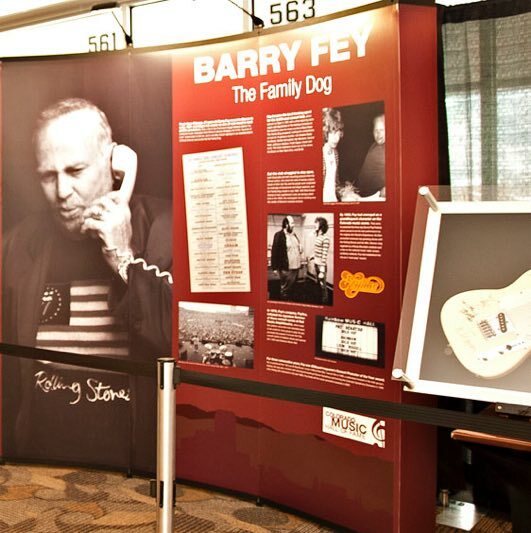 Fresh from Chicago, 27-year-old Barry Fey moved to Denver in 1967 and began his career as one of rock music’s most prolific and successful promoters. After a trip to San Francisco’s Haight Ashbury District and witnessing 100,000 young people plus multiple musicians and bands gathered for “The Summer of Love” he saw the possibilities of introducing that cultural phenomenon to Denver. Fey contacted promoter and counter-culture figure Chet Helms to discuss bringing the scene to a recently closed nightspot which became the “Family Dog” at 1601 West Evans in south Denver. Fey was the booking agent for the 2,500-seat concert hall, which opened on Sept. 8, 1967, with a show featuring Janis Joplin with Big Brother & The Holding Company as the first headliner, plus the heavy sounds of Blue Cheer. The Family Dog prospered, hosting the cornerstones of rock for ten months—the Grateful Dead, the Byrds, The Doors, Buffalo Springfield, Van Morrison, Canned Heat, Jefferson Airplane, Frank Zappa, Cream and more. The club struggled to stay open, both financially and with mounting pressure from the Denver police, who disliked the idea of having a hippie haven in their city. Fey and his people were subjected to harassment and illegal searches. The Family Dog closed in July 1968, but for 10 short months, it was the center of Denver’s music universe! By 1969, Fey had emerged as a grandiloquent character in the Colorado music scene. That June, he presented the three-day Denver Pop Festival, which became the last performance by the original Jimi Hendrix Experience. 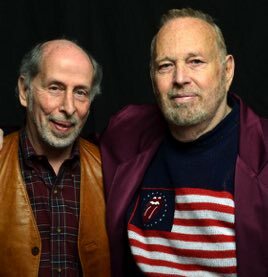 His company, Feyline promoted hundreds of top-grossing shows with world-renowned acts such as Pink Floyd, Led Zeppelin, Rolling Stones, The Who, Willie Nelson, Parliament Funkadelic and many more. Denver, long regarded as a Rocky Mountain cow town and a blip on the music radar screen, suddenly mattered. Fey established the city as a “must-play” market! In 1976, Fey initiated his signature “Summer of Stars” concert series at Red Rocks Amphitheatre, which made the outdoor venue the most desirable place in the world for every group to play. He also promoted the popular “Colorado Sun Day” concert series of stadium shows and opened the 1,400-seat Rainbow Music Hall. For three consecutive years, Fey won Billboard magazine’s Concert Promoter of the Year award. He co-produced the “U2 Live At Red Rocks: Under A Blood Red Sky” concert film in 1983, a watershed moment in the Irish group’s history. He helped save the Denver Symphony and formed the Colorado Symphony Orchestra in 1989. After flirting with retirement in the late 1990s, Fey finally left the music-promotion business in 2004.